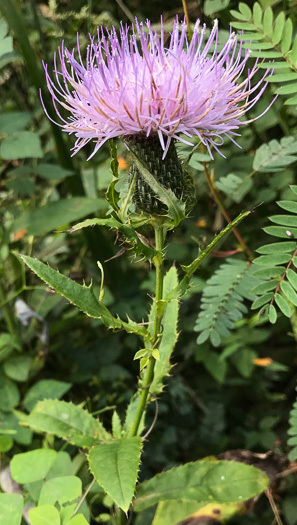 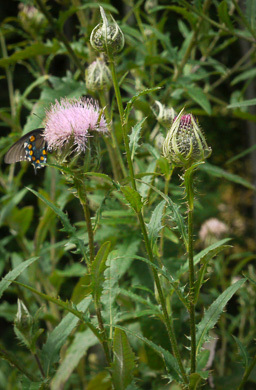 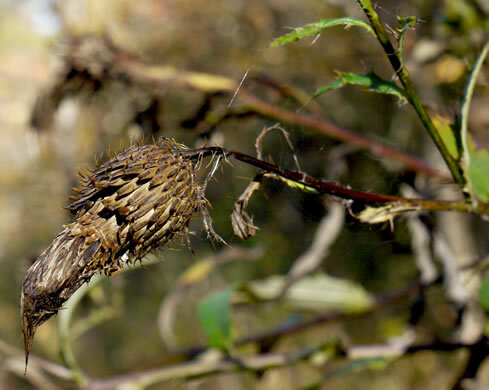 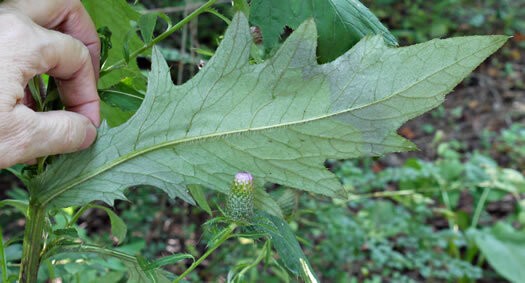 Involucres have the middle and outer bracts tipped with a spine, per Wildflowers of Tennessee. 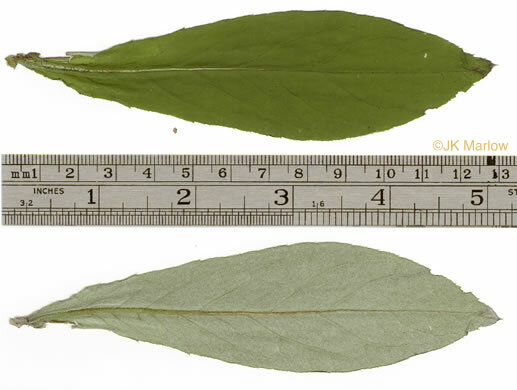 Involucres 2-3.5cm long, 2-3.5cm broad, weakly arachnose, per Vascular Flora of the Carolinas. 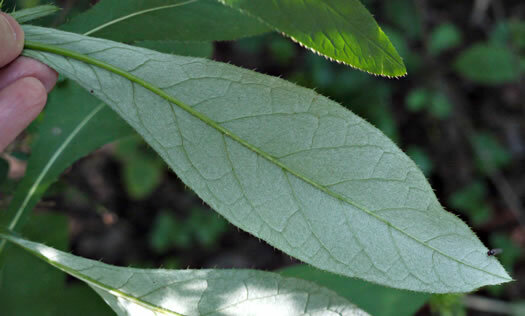 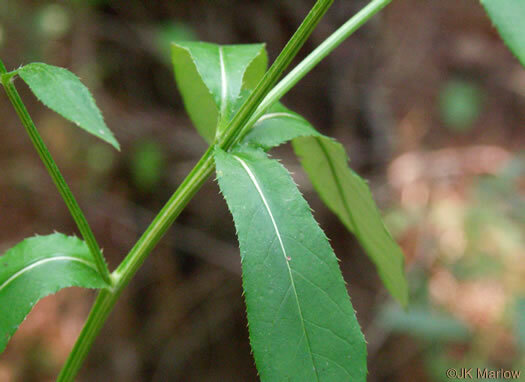 Leaves lobed or unlobed, leaf margins not revolute, per Vascular Flora of the Carolinas. 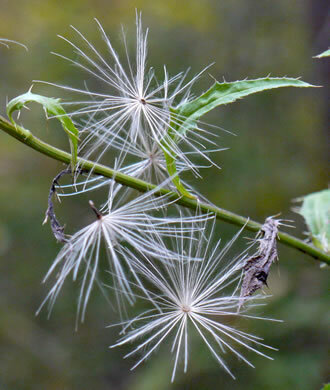 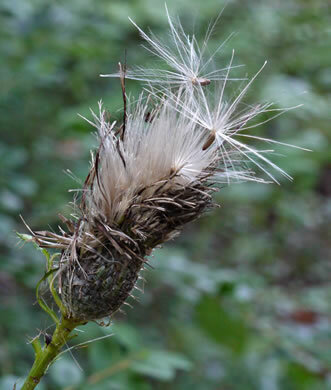 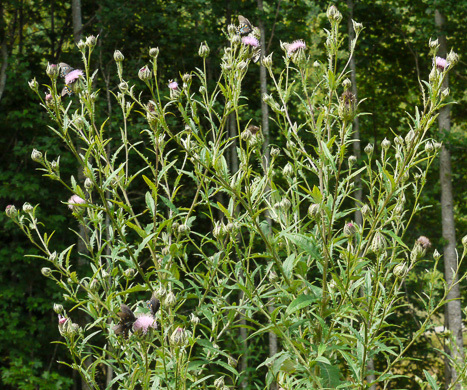 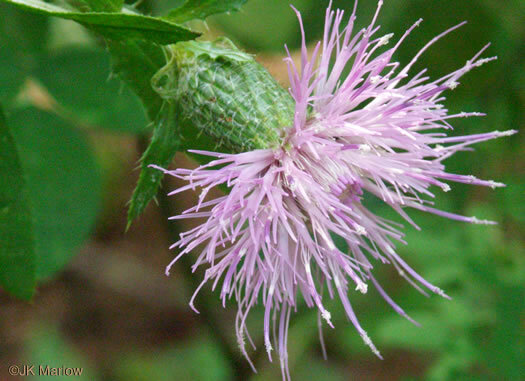 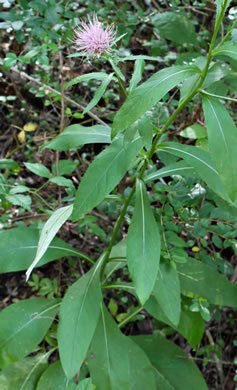 Stems are smooth and leaves are white-woolly on the undersides, per Wildflowers of the Southern Mountains. 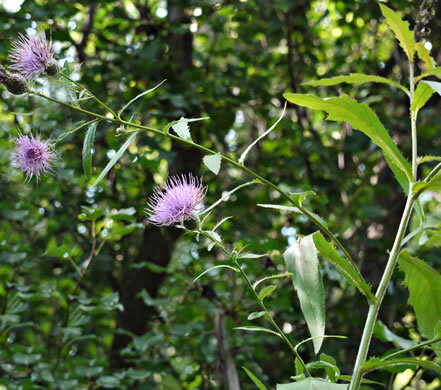 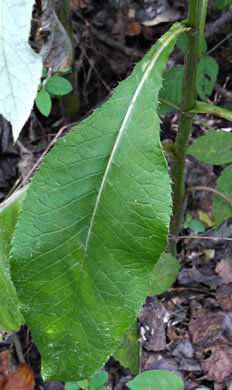 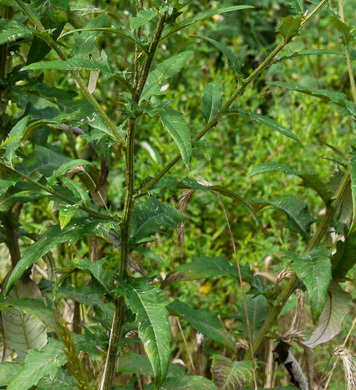 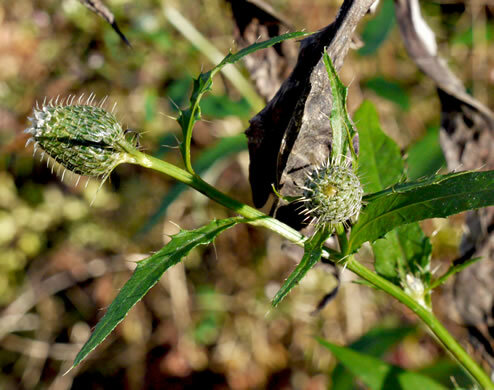 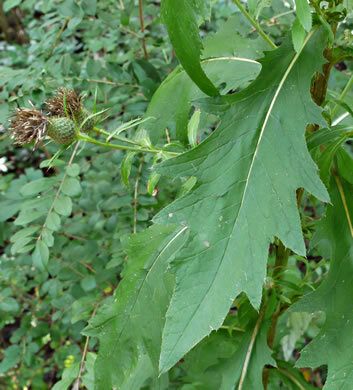 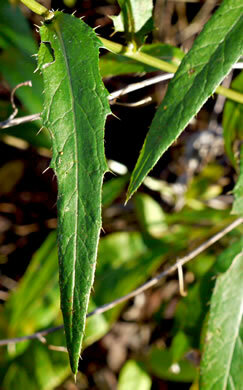 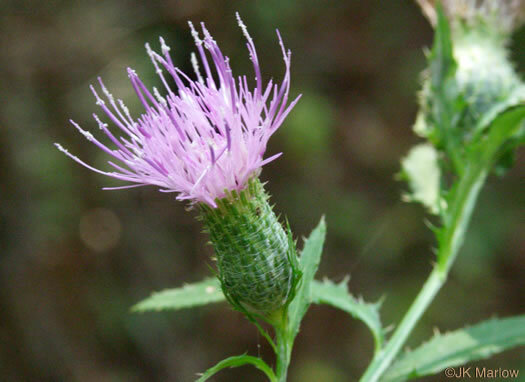 Most of its cauline leaves are unlobed, though they may have large teeth, per Wildflowers of the Southern Mountains. 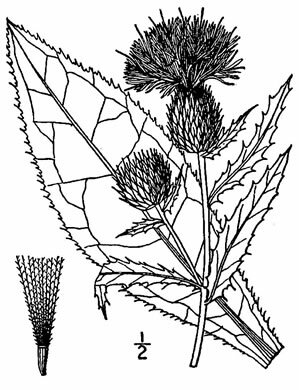 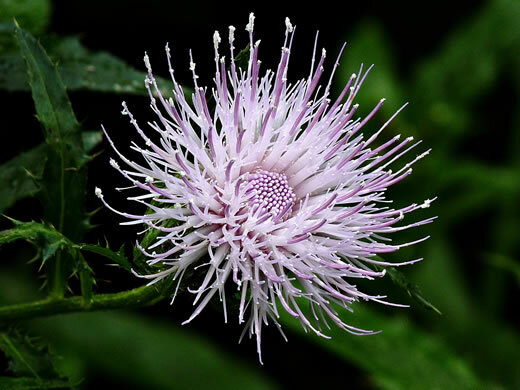 Heads pedunculate, per Weakley's Flora. 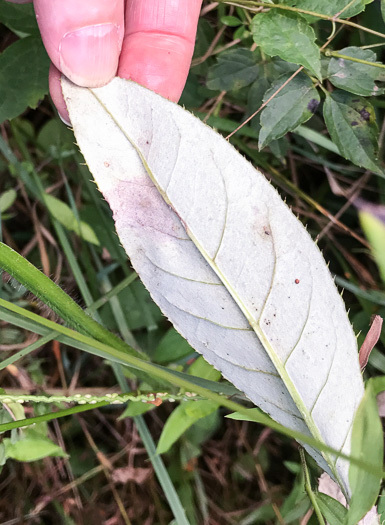 Leaves densely white-hairy beneath, per Wildflowers of Tennessee.